Why Arya Stark should sit on the Iron Throne. Most girls would not have survived this long in Westeros, but Arya Stark is no such a girl. The third born of the Stark clan was never meant to be a lady, it's true. But that doesn't mean she was never meant to sit on the Iron Throne. Across seven seasons of 'Game of Thrones', Arya has grown a lot. While her skills in battle are the most immediately apparent advantage in her arsenal, she possesses several other qualities that give her claim to leadership of the Seven Kingdoms. Since she was a child, there are certain characteristics that Arya has maintained that make her an ideal leader. She is determined, independent and courageous. When her father, Eddard "Ned" Stark, was about to be executed, she was the only one who tried to save him, weapon in hand. 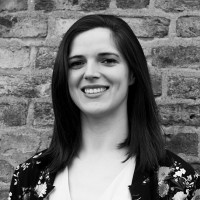 She is also fiercely loyal to her companions and goes to the ends of the earth to save them, as shown with Gendry (who there is a hint of a romantic relationship with, and, as the last descendant of Robert Baratheon, ruler of the Seven Kingdoms at the start of 'Game of Thrones', is a legal claimer of the throne) and Hot Pie. She also learns quickly and proficiently. Nowhere is this better displayed than in Arya's impressive fighting ability. She is first trained in 'water dance' as a child by Braavosi Syrio Forel. Later she learns archery from Anguy. The Hound becomes another teacher (as well as an unlikely father figure) to her and she kills men intentionally for the first time by his side. Under the Hound's wing, Arya solidifies her list, becoming more focussed than ever on who she will kill and why. But she also learns the value of mercy in his care and when she gets the opportunity to end his life (as he is on her list), she spares him. Jaqen H'ghar of the Faceless Men teaches Arya more still, not only in terms of combat skills but also in politics. She learns of the 'many faces' people wear and the advantages of being 'no one' and thus anyone. 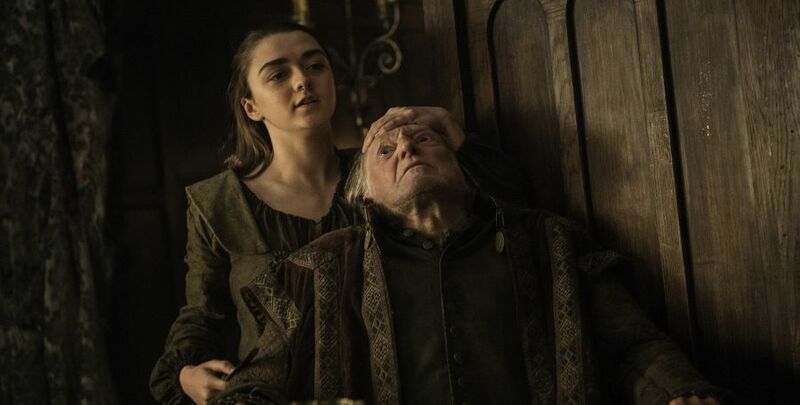 Arya is taught deception - a pivotal skill in 'Game of Thrones' - as well as learning to fight blind under the Waif. When Jaqen orders Arya to kill Lady Crane and she disobeys him, it's clear that she still values morality and good people over obedience. She then abandons the idea of being "no one", claiming she is and always will be Arya Stark of Winterfell. Her next move? To kill Walder Frey for slaying her brother and mother. After that, she poisons the remaining men of House Frey. Indeed Arya's identification as a Stark is key to why she could be involved in the endgame of 'Game of Thrones'. If the series is to come full circle this season, it would be right to see someone from the Stark family - the 'good guys', if any (who, unlike the Lannisters, Targaryens, Freys, Boltons and others, have never gone out of their way to torture or kill entire families or civilisations) - become Queen of the Andals and the Rhoynar and the First Men, Lady of the Seven Kingdoms, and Protector of the Realm. "Leave one wolf alive and the sheep are never safe. When people ask you what happened here, tell them the North remembers. Tell them winter came for House Frey." You could say that title should more appropriately be given to her older sister, Sansa, and that's true. In that circumstance, she could be her heir. Perhaps in an ideal world, Westeros could even be ruled by an oligarchy, consisting of the two sisters and their brother Bran, the Three-Eyed Raven. 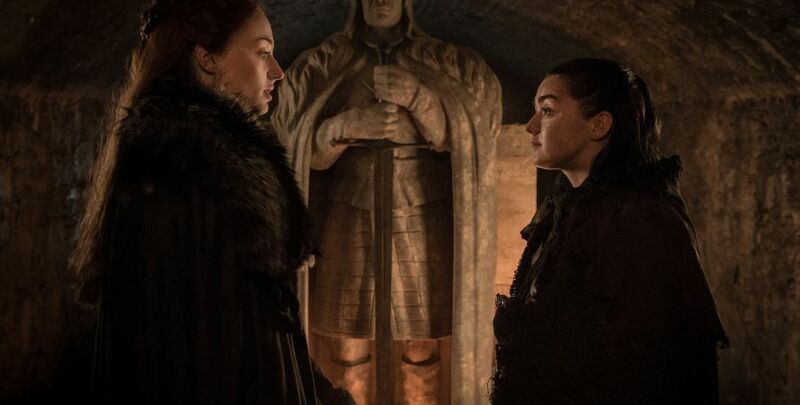 After all, it has been teased that the Stark sisters will work together in season eight, and they've already proven effective in taking down Littlefinger last season. In their last conversation, Sansa called Arya "the strongest person she knows". Arya retorts that she "never could have survived" what Sansa did. The truth is they're both strong, they're both survivors, and they're both righteous. Together, they could be unstoppable. But would Sansa be as strong, as creative, as calculating, as objectively ruthless? A girl is Arya Stark of Winterfell, and she's already home. Maybe it's time for a new one.